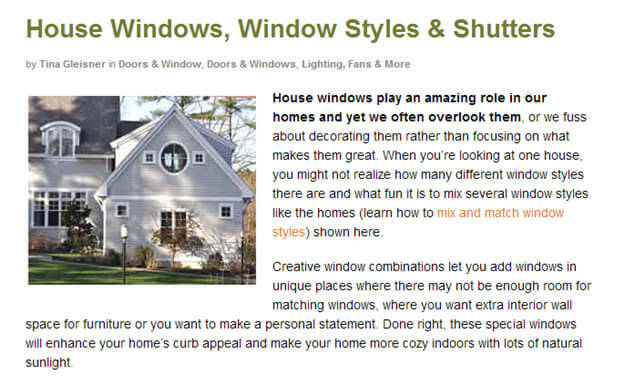 Creative window combinations let you add windows in unique places where there may not be enough room for matching windows, where you want extra interior wall space for furniture or you want to make a personal statement. Done right, these special windows will enhance your home’s curb appeal and make your home more cozy indoors with lots of natural sunlight. For homeowners in Detroit who have damaged windows made of wood, worry no more—one of the main advantages of this type of window is it’s easy to replace or repair. Learning a few things about wood windows before heading for an overhaul might be of great help. Services of wood window replacement in Detroit Michigan are provided by professionals for any type or style. You can get new single or double hung sash windows, which are by far the most popular type of wood window style. Another type is called the casement window, which is known for its contemporary design. It is hinged on both sides and this provides more options for homeowners who want to allow more daylight to get in. For more information and guaranteed high quality wood window replacement in Detroit MI, contact companies like Kroll Construction, which has been delivering the best services in the industry for more than 50 years. They have established their name in delivering great results and their customers’ testimonials show their commitment to their work.